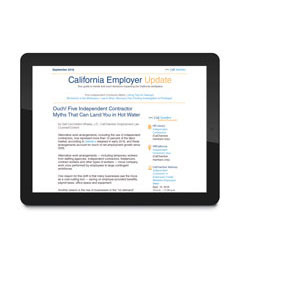 Compliance Alerts: CalChamber's 2019 all-in-one poster includes mandatory updates to the California Minimum Wage notice, the EDD Notice to Employees, and the DFEH Discrimination and Harassment notice. Since January 1, 2019, all employers, regardless of size, should be displaying this updated poster in the workplace. April 1 Mandatory Poster Update: Changes were approved to the CFRA notice, (now called the Family Care and Medical Leave and Pregnancy Disability Leave notice), adding information about the New Parent Leave Act (NPLA). Effective April 1, 2019, this is a new posting requirement for California employers covered by the NPLA (20 to 49 employees) and an updated posting requirement for those covered by CFRA (50 or more employees). 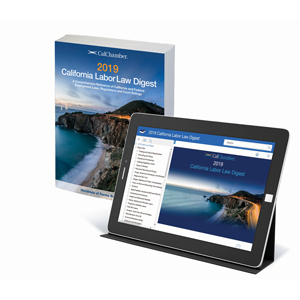 CalChamber's 2019 California and Federal Labor Law poster includes these mandatory updates. Don't risk noncompliance and steep penalties for not informing employees of their current rights in the workplace. 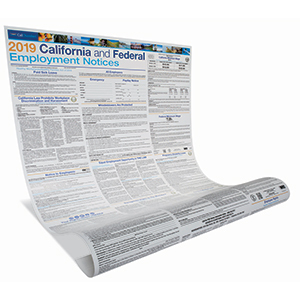 CalChamber's convenient 28" x 46" all-in-one poster contains the 18 state and federal employment notices every California employer must post—even if you only employ one person in California. Be sure to display a poster in each business location where employees can easily see it and read it. You'll need both English and Spanish poster versions if you have Spanish-speaking employees. Need required pamphlets, too? Click here to buy the kit and save money vs. ordering required posters and pamphlets separately. Remember, you must separately post the Wage Order(s) specific to your industry. New postings are required for January 1, 2019. Use our free Wage Order Wizard to identify which of the 17 industry Wage Orders you need. Read our popular Required Posting FAQs. Employment laws can change at any time, and both California and federal laws require you to keep notices current. In fact, your business could incur significant fines for not posting the most current California and federal notices. Mandatory midyear changes to required notices are not unusual in California. 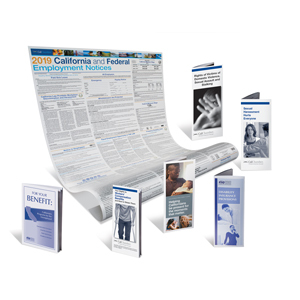 For as little as $16 more, select a 2019 all-in-one California and Federal Labor Law poster with Poster Protect coverage. If a mandatory change happens during 2019, you automatically receive a replacement poster at no additional cost. Poster Protect only covers mandatory changes to the all-in-one California and Federal Labor Law poster. 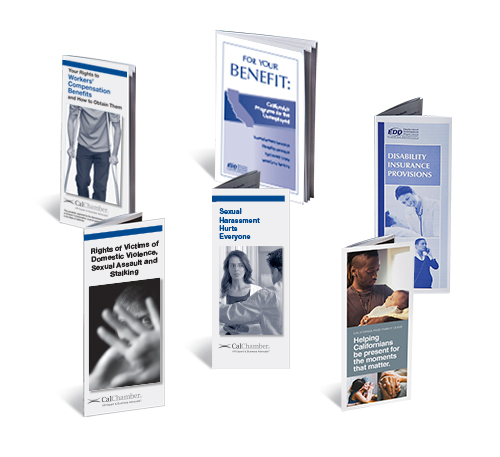 Coverage is not available for the federal-only poster, California city and county labor law posters, California wage order posters, or labor law posters for states outside of California. Mandatory updates were approved to the Family Care and Medical Leave (CFRA Leave) and Pregnancy Disability notice, (now called the Family Care and Medical Leave and Pregnancy Disability Leave notice), adding information about the New Parent Leave Act (NPLA). Effective April 1, 2019, this is a new posting requirement for California employers covered by the NPLA (20 to 49 employees) and an updated posting requirement for those covered by CFRA (50 or more employees). On January 1, 2019, the minimum wage increased to $11.00/hour for employers with 25 or less employees and $12.00/hour for employers with 26 or more employees, and requires an updated posting (California Minimum Wage notice). Mandatory updates to the EDD Notice for Employees involve Unemployment Insurance (UI), Disability Insurance (DI) and Paid Family Leave (PFL). 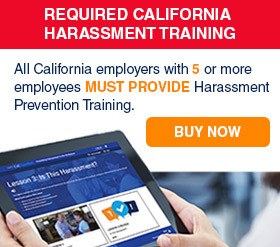 California Department of Fair Employment and Housing (DFEH) released mandatory updates to its “California Law Prohibits Workplace Discrimination and Harassment” notice, relating to the expanded harassment education and training requirements of SB 1343. Need Posters for Other States?